Comments are a great way for the website users to have an online interaction over any topic. By default, WordPress comments can be enabled or disabled on any post. However, if you would like to design a post using Advanced Layout Builder, the default WordPress loop is not used by the theme, hence comments will only show on the posts using ALB when a comment element is used. More info about WordPress comments on WordPress Codex. How to Enable/Disable Comments on posts and pages. 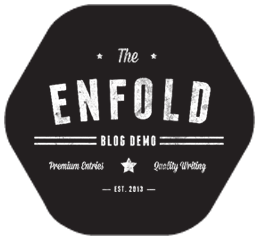 Enfold theme supports creating posts/pages using the default WordPress editor or Advanced Layout builder. If a page/post is designed using ALB, the comments will not show by default, as the theme uses a different loop. Scroll down to the bottom of the page and look for Discussion option. 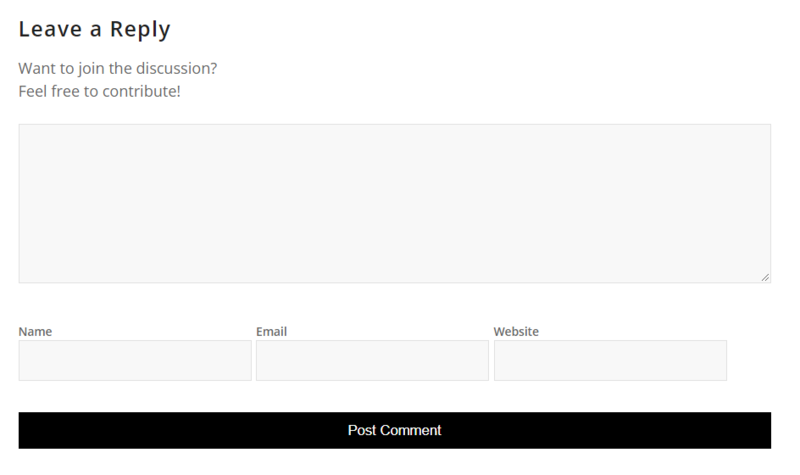 If you do not see the Discussion option check the screen options on the top right of the page and select the Discussion box. For more options on comments, and to make changes sitewide please go to the WordPress Dashboard > Settings > Discussion Settings. Advanced Layout Builder: While using enfold theme ALB drop the comments element anywhere on the post/page and a comment box will show up. By default, the label appears on the right side of the form fields as seen below. 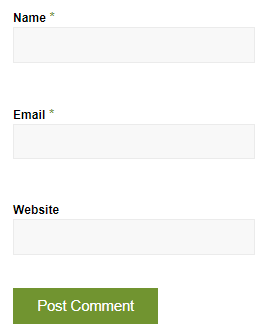 To position the label on top of the form fields as seen below please use the custom CSS provided. By default input fields are stacked on top of each other, to place the input fields on the same line with a full-width post comment button please use the below code snippet. The easiest way to change the background color for the comments section is to drop it in a color section element and update the background color/image of the color section. 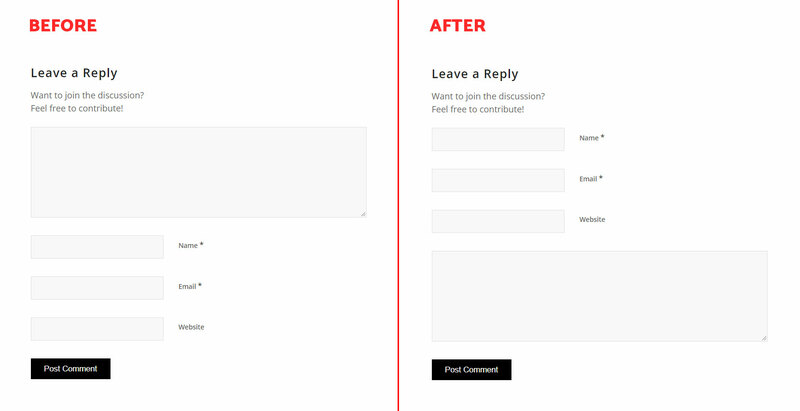 To make the comment fields full width as seen below please use the code snippet available for this modification. To change the order of the comments field and place it at the bottom as shown in the below picture use the provided function in your child theme functions.php file. If you are using the advanced layout builder to design your blog post and like to change the comment box text, copy the code below to your functions.php file and replace the “New text here” with your custom text for the comment box title, sub-heading and the post comment button. 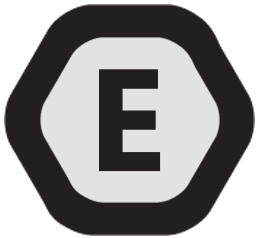 WordPress Codex provides an in-depth explanation to handle spam comments.